These are important words. We are absolutely changed by the hard things that happen to us in life - and any sentiment of 'get over it' or 'time will heal' gets us stuck between our expectations and our reality. I am interested in seeing any trends in these results...will you take the anonymous questionnaire? This is a brilliant article - the themes of love, value and respect (and how we individually define these concepts) often comes up in couple counselling sessions. My role is to mediate a conversation to allow each partner to understand and accept these definitions and how it impacts connection and intimacy in a relationship. Procrastination can get the best of us at times. I try to set small goals when it creeps up on me ~ I will do paperwork for 10 minutes ~ and then gauge how I feel at the end of that period of time. 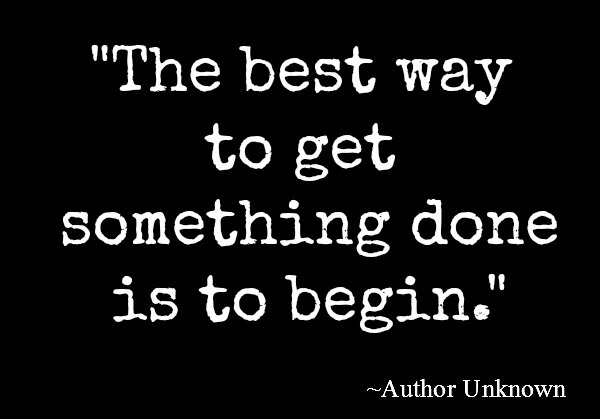 Often, getting started is the hardest part. The Institut National d’Excellence en Santé et en Services Sociaux (INESSS), which advises the province on best-evidence guidelines for the health-care system, has concluded that psychotherapy is as effective as medication and does a better job at preventing relapse, for the most common – and costly – mental illnesses, depression and anxiety. I set aside this article over the past week and finally had an opportunity to read it this morning. The author does a wonderful job delivering a balanced picture of how Canadians are affected by mental health concerns, the gaps in service and what can be done about it. I am all for a comprehensive system whereby we rely on professionals to deliver services in their area of expertise - it's better for professionals and it is most importantly, better for the client. Postpartum Depression is a concept that is covered during prenatal education; however I think we are falling short in preparing families for the possibility of this condition touching their lives. So many women are suffering undiagnosed with little support, only to find many months or even years later the major impact this condition has had on them and their families. Clearly, more in-depth discussions and case examples are required prenatally with family systems to truly understand postpartum depression - what it looks like, how to be supportive, and when to reach out for help. In addition, the way in which it is assessed and supported after baby arrives could also use an overhaul - it definitely requires more than a checklist. Here is some helpful information from the Mayo Clinic. The birth of a baby can trigger a jumble of powerful emotions, from excitement and joy to fear and anxiety. But it can also result in something you might not expect — depression. Many new moms experience the "baby blues" after childbirth, which commonly include mood swings and crying spells that fade quickly. But some new moms experience a more severe, long-lasting form of depression known as postpartum depression. Rarely, an extreme form of postpartum depression known as postpartum psychosis develops after childbirth. Postpartum depression isn't a character flaw or a weakness. Sometimes it's simply a complication of giving birth. If you have postpartum depression, prompt treatment can help you manage your symptoms — and enjoy your baby. Signs and symptoms of depression after childbirth vary, depending on the type of depression. Untreated, postpartum depression may last for many months or longer. If you suspect that you're developing postpartum psychosis, seek medical attention immediately. Don't wait and hope for improvement. Postpartum psychosis may lead to life-threatening thoughts or behaviors. Postpartum depression isn't generally a condition that you can treat on your own — but you can do some things for yourself that build on your treatment plan and help speed recovery. • Make healthy lifestyle choices.Include physical activity, such as a walk with your baby, in your daily routine. Eat healthy foods, and avoid alcohol. • Set realistic expectations. Don't pressure yourself to do everything. Scale back your expectations for the perfect household. Do what you can and leave the rest. Ask for help when you need it. • Make time for yourself. If you feel like the world is coming down around you, take some time for yourself. Get dressed, leave the house, and visit a friend or run an errand. Or schedule some time alone with your partner. • Respond positively. When faced with a negative situation, focus on keeping your thoughts positive. Even if an unwanted situation doesn't change, you can change the way you think and behave in response to it — a brief course of cognitive behavioral therapy may help you learn how to do this. • Avoid isolation. Talk with your partner, family and friends about how you're feeling. Ask other mothers about their experiences. Ask your doctor about local support groups for new moms or women who have postpartum depression. Remember, the best way to take care of your baby is to take care of yourself. Although for most people accessing counselling is no longer taboo, many still have misconceptions about what exactly the counselling process entails. Most of us can benefit from counseling, yet misunderstandings about this process can leave us confused and hesitant. Misconceptions about counselling are typically rooted in outdated ideas about psychotherapy. One myth is that counselling is for "crazy people." Nothing could be further from the truth. Although some people wait until a small issue spirals out of control, counselling offers the opportunity to deal with day-to-day concerns while discovering tangible and effective solutions to present and past situations. Another myth is that counselling is a crutch for weak people who can't cope with life. In reality, there is nothing weak about seeking counselling. Counselling sessions are a vehicle for strong people who decide to face their challenges directly rather than allowing fear to rule their life. It takes inner strength to acknowledge a problem and seek to proactively and responsibly deal with the matter before it negatively impacts on their physical, emotional, social, and spiritual well-being. One other myth is that if you have accessed counselling before and were not able to resolve your issues there is no point in trying again. Counselling, like any other relationship, is about developing a rapport between the therapist and the client. You may not have been able to develop that connection with a particular therapist; however, different therapists have different personalities and approach the counselling relationship slightly differently so trying another therapist is always worthwhile. As well, you are a dynamic individual – you may not have been ready to address your concerns at that particular stage of life – and now may be the time. Will the counsellor draw out my deep dark secrets? The counsellor will only know what you choose to share with him/her. You decide what you want to share, as and when, you feel comfortable with your counsellor. Will I be judged based on what I share about myself? No. One of the foundations of counselling is to not judge a person. Therefore a counsellor will accept you unconditionally and seek to understand what you are experiencing, from your point of view. How will talking to a counsellor who doesn’t know me, help me? Not knowing you personally enables the counsellor to be neutral, objective and non-judgmental of you. A friend or a family member would often have their own opinions or suggestions of what might be right for you, which is helpful information. However, when you wish to focus on and arrive at your own answers, speaking to a counsellor helps you get an unbiased and deeper understanding of yourself and your situation. Over time, your counsellor and you will form an accepting yet professional relationship, one in which you feel comfortable to be yourself. How can I trust that the counsellor won’t divulge my secrets? Another foundation of counselling is trust and confidentiality. Confidentiality is one of the most important aspects of counselling, without which there can be no counselling relationship. Counsellors are ethically bound to maintain confidentiality except in situations where there is risk of self-harm, harm to others or child abuse. Will the counsellor give me a solution to my problem? 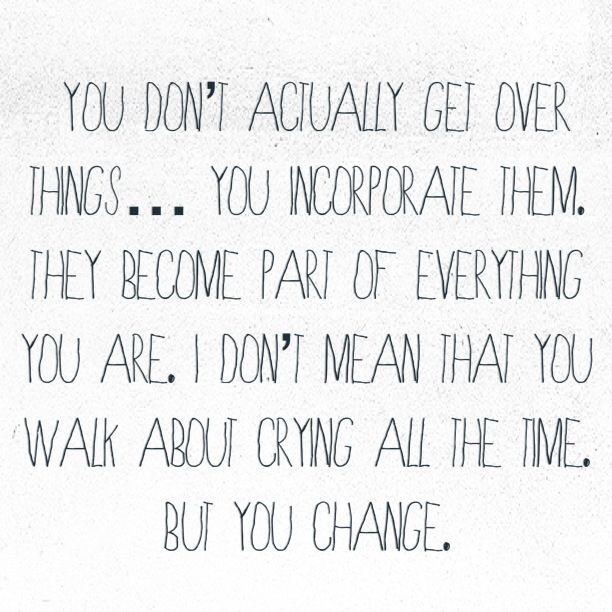 This is a common misconception about the purpose of counselling. Every person and life situation is unique and needs to be understood. Ready-made solutions will not help in the long run. Therefore, counsellors do not give advice. Instead the counselling relationship helps you gain useful insight and understanding of yourself and your situation. This helps you make your own decisions, which are healthy and productive. The counsellor and you work together, to help you come to your own solutions, to bring about more long-lasting change. What “treatment” will the counsellors give me? Counsellors do not “treat” people. Counsellors facilitate a process to enable you to gain awareness and growth through a warm and understanding relationship. The counsellor is transparent and decides together with you, what might be helpful areas to work for change. Does the counselling process take a very long time? Not necessarily. Counselling is a process marked not by time but by the quality and outcome of the sessions. Based on your needs and goals from counselling, you could decide together with your counsellor on the number of sessions that will be most helpful for you. Counselling is an interactive, learning process that enables a person, couple, family, or group to sort out issues and reach decisions. It is a dynamic, two-way process with a counsellor who listens, understands and tries to work with you to reach goals that you have set for yourself. Typically, counselling is sought out at times of change or life transitions or when a person is in crisis. There is no need to wait for a situation to become traumatic. Accessing help before an issue escalates makes the counselling processmuch less complicated. Counselling involves talking with a professionally trained person who helps the client develop self-awareness, learn to express thoughts and feelings rather than acting them out in inappropriate ways or at inopportune times, solve a problem, understand and change behaviours; or learn new ways of looking at or approaching the present or past circumstances. Counselling is a friendly and positive approach to personal development. It can help the client face the effects of past experiences and seek ways to heal or overcome them. When a client seeks counselling they may feel nervous or overwhelmed and not sure where to begin or where it is that they want to go with the situation. Most people tend to be hard on themselves while a therapist is there to provide you with non-judgmental, caring expertise when you may be feeling isolated and discouraged. The role of the therapist is to mirror back to the client aspects that are not clear for the person to see. A therapist will ask questions that you may not have asked yourself thereby leading you to recognize and understand aspects of yourself and/or your situation that you have not considered. Hearing your thoughts and feelings paraphrased adds clarity when the emotional turmoil swims around in your head. With the support of a counselling therapist you can take action towards healing and growth. Finished up a talk yesterday at SLC for the Learning Connections Wellness Fair offered to staff and Faculty. It was wonderful to see everyone connecting around personal and professional wellness. ~ How, for long-term change to occur, there must be a change in your perceptions, beliefs, patterns of behaviour and relationship dynamics. The terms ‘mental illness’ and ‘addiction’ refer to a wide range of disorders that affect mood, thinking and behaviour. Examples include depression, anxiety disorders, schizophrenia, as well as substance use disorders and problem gambling. Mental illness and addictions can be associated with distress and/or impairment of functioning. Symptoms vary from mild to severe. This is not a journey we can all take, but a good reminder to carve out time daily for yourself and your family - without distractions. If you're feeling disconnected, try this paradoxical task and disconnect to reconnect. "...and after her sojourn she found, laughter returned in our family and creativity returned to our family and not just for the kids but also with myself and my husband. When I look back on it I think the best of who we are came out during those nine months...there was, all of a sudden, an ability to be in the moment, she says." I was at a hockey game not too long ago and was considering this very idea - and unfortunately we are at a point where we are conditioned to comply with little or no thought to the consequences. Not only is our attention being sought out and bombarded, we are willingly following suit. As I glanced around when such stimuli was not overwhelmingly being targeted at us, a significant amount of us picked up our phones to engage (or arguably disengage) with something rather than just be. What precious resources - to be silent and with ourselves - let's make attending within a more common practice. Self-Compassion - This is a concept that is never far from my thoughts. I see it, or at least the need for it, in almost all of my interactions. I'm left wondering why something so natural, in my opinion, has to be missing from our daily lives. Why is being kind to ourselves so difficult to achieve? Check out the article below for some tips on bringing self-compassion to your daily life. Do you feel like you have lost yourself over the long winter? Feeling tired and worn out? Get a jump on finding yourself again with the Come Alive! program. The team at Full Circle Health Network, a group of holistic experts, will work together to help you completely rebalance your body, mind and spirit. For more details, visit www.fchn.ca and click on the promotions tab or contact us at 613-766-3503. Come join us on this journey of self-discovery and whole-body wellness. I was approached recently by Anisa Rawhani, who is a student-writer for the Lifestyle Section of the Queen’s Journal. Anisa posed a variety of questions on marital counselling for an upcoming article on young marriage, and the trend of couples marrying later in life. It’s a fun piece and explores the views of couples at Queen’s University who are married or recently engaged, along with Anisa’s own view of marriage and the complexities therein. I was asked about the most common concerns that bring couples to therapy, and how counselling can be helpful. We discussed common marital concerns such as communication, intimacy or connectedness and conflict resolution. I indicated that all marriages experience difficulties at one point or another. These challenges often arise during periods of transition or changes to the family system, for example, relocating, having children, experiencing loss, career changes, periods of self-discovery; and they are often the result of dysfunctional patterns of relating or interacting. Anisa asked about advice I provide to couples and I explained that the counselling framework leads to a journey of self-discovery and awareness rather than top-down advice. However, outcomes of therapy often include learning how to effectively listen to your partner, including reaching for emotion beyond the words; being assertive in communicating your perceptions, feelings and needs; and practicing forgiveness and compassion rather than ‘score-keeping’, which can prevent important discussions from occurring right from the start. I indicated my belief in the importance of pre-marital education, which includes a journey of self-awareness and partner-awareness, to determine areas of alignment as well as growth areas within the relationship, where pre-emptive problem-solving can occur. Later today I will be off to a two-day retreat on Mindfulness. This practice assists with the ability to regulate one’s body and find balance in emotion, thought and physical health, which is at the core of healing and well-being. Over the course of the next two days, I myself will be practising mindfulness, regulation and activation strategies meant to promote compassionate self-awareness and emotional balance. My goal is to enhance my personal mindfulness practice in order to increase my capacity to work with others. I'm looking forward to continuing to share in this process with my clients. Come visit Full Circle Health Network (Booth 37) at the Kingston Wedding Show this Sunday February 1st! I will be providing information on my pre-marital education sessions which include an online couple assessment in order to learn more about yourself, partner, and relationship dynamics. FCHN will be offering free mini treatments as well as discounts off your future appointments! Let’s raise awareness and acknowledge the prevalence of mental health concerns.